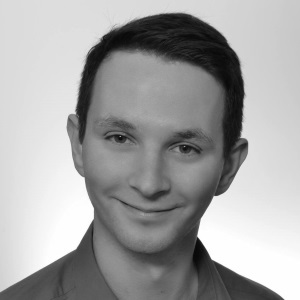 Maciej Trojniarz is the Sorcerer’s Apprentice aka Software Craftsmanship Journeyman at NewVoiceMedia with experience in various industries and roles. He is enthusiast and evangelist of good engineering practices and Agile management. He strongly believes in Software Craftsmanship movement. He is trying to spread his knowledge and passion to others. That’s the reason why he is actively involved in many activities like ‘Wrocław Agile Development’, ‘School of Agile’ and as well regular participants in various meetups. His free-time is taken by his fiancée, board games, mountains and occasionally some survival events. If you want to know him better feel free to find him on Twitter at @MaciejTrojniarz. Software development industry in XXI is a fun place to be. It has developed a lot of labels for different skill sets/positions/roles as well as various styles of collaboration. There is practically no difference between working in the office and from home. We could even say that's the direction and new lifestyle. Location and roles have less meaning if we are thinking about truly cross-functional agile teams. How to make all that complexity work in real life? Is there any way to create real team spirit instead of making teams that just tend to work on the same piece of code? During the presentation, Maciej and Ewelina will tell you a story about their experiences with cross-functional remote teams. They will like to cover several points of view and some challenges that are a result of having in the team all sort of roles: developers, testers, scrum master and product owner.